With the dark evenings drawer closer and with the festivities soon on their way I thought I would create an evening look! I used my Sleek Storm palette which is stunning and always turn to this for evening makeup, I've used this palette so many times on family and friends and they've all loved it. I have numbered the shades I used to make this easy for you cupcakes! * I used number 1 on the inner corners of the eyes and all over the lid up to the brow. * Next I used the beautiful gold over the middle part of the eye lid and blend softly. * I picked number 3 and used this in the crease of the eyes and blended out softly. * Next up I went for a deeper plum and picked number 4 which I used built up in the outer corner of the eye and blended into the crease and along the lower lash line. 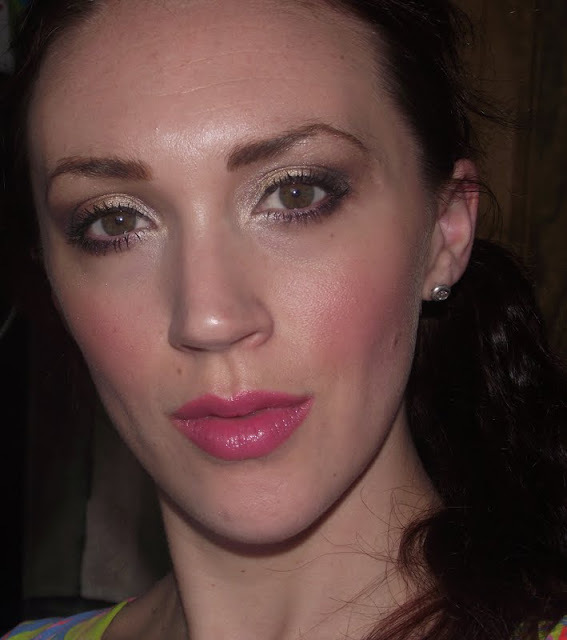 * To finish off I went for the matte black and very softly added this to just the outer corner and softly underneath. 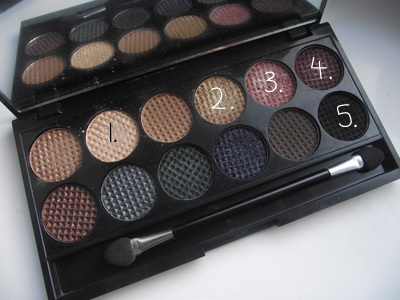 This palette can create so many different looks and I think if you've not yet tried this palette you need to because believe me with all the parties coming up you will turn to this palette and use it lots. I will be using the Sunset palette tomorrow to create a quick easy Autumn day look so pop back! I think it looks great. I have so many sleek palettes but I always forget to pull them out. I need to use this as a tutorial. Btw, what lipstick are you wearing in the photos. I love the colour.